Ends Today! Shop Disney Clearance Event! Take 25% Off Already-Reduced Prices! Through today, August 16th, you can save 25% off already-reduced prices during the Shop Disney Clearance Event. Just use promo code EXTRA25 at checkout. There are hundreds of items included from apparel to home decor and jewelry to pajamas. 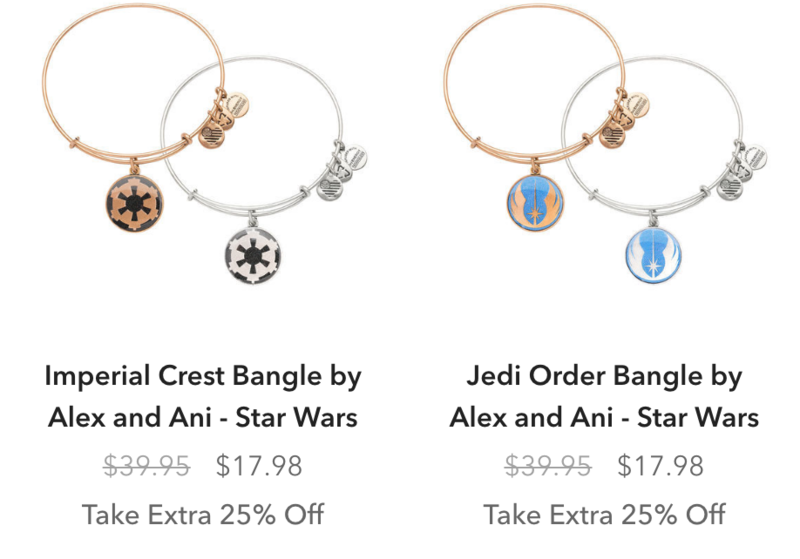 I found these Star Wars Alex and Ani bracelets. They are just $13.48 after discount! (regularly $39.95) Choose from two different styles in silver or gold. Orders of $75 or more will ship free with promo code SHIPMAGIC at checkout.